Quadsys deal with only Top Tier Vendors & Manufacturers within the industry, from the core selling of Hardware & Software Licenses, to the design, implementation and documentation of SME to large scale projects involving Citrix, DELL, HP, IBM, Kaspersky, Lenovo, Microsoft , Ruckus VMware, and many more. Technology is changing every day and smarter ways of working can greatly advance the productivity of your business. In order for any network to be capable of these ambitious challenges, they need to be able to support them. Quadsys can help you optimise your network both physically and virtually to give you the best from your IT investment. Networks are the backbone of any business. Failure can be highly disruptive to daily operations and therefore to profitability. We work with top tier Hardware vendors to bring you an array of products to maximise efficiency on the network. Vendors include: HP, 3Com, NetGear, Belkin, D-Link, Zyxel. 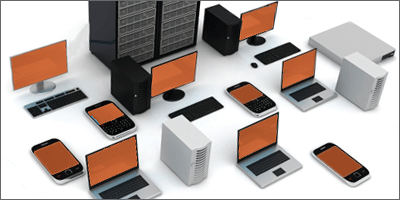 Data Storage & Software Licensing. Printer Consumables (Ink, Paper & Spares). Safely recycle your computer. WEEE compliant and full mainline UK coverage with no minimum quantity. All hard-drives wiped and certified as standard. On site hard drive destruction facility available. Covering the installation and testing of Cat5e, Cat6 and Optical fibre. Quadsys sales and technical force attend regular vendor training to offer its clients a broad range of augmented solutions and maintain our accreditations.